After the successful collaboration with de Willem de Kooning Academy in 2015 Forbo Flooring decided to initiate a follow up project. 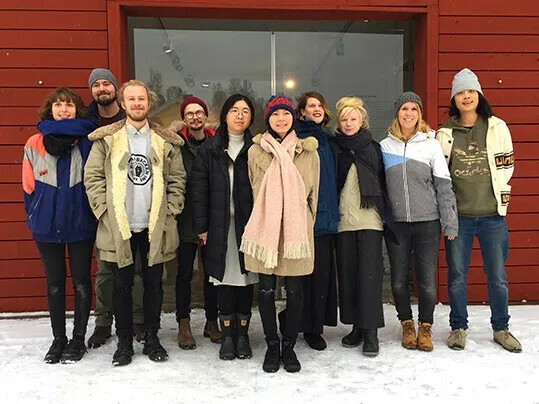 For the 2nd edition of our Student Challenge we approached the Wood Oriented Furniture Design HDK – Academy of Design and Crafts at Steneby located in Dals Långed in Sweden. 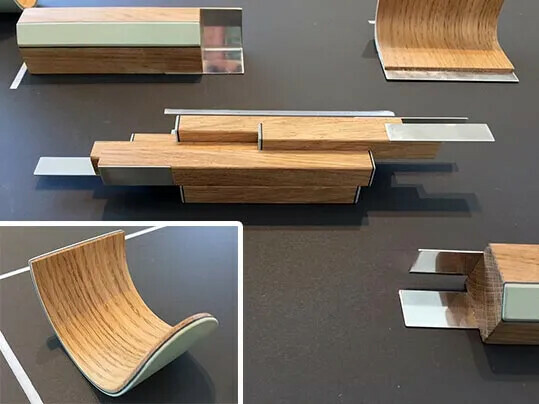 Eleven international students were challenged to explore the material properties of our Furniture linoleum and Bulletin board materials and to come up with exciting concepts and well executed prototypes for new applications. In this project students worked with the concept of "Gathering". 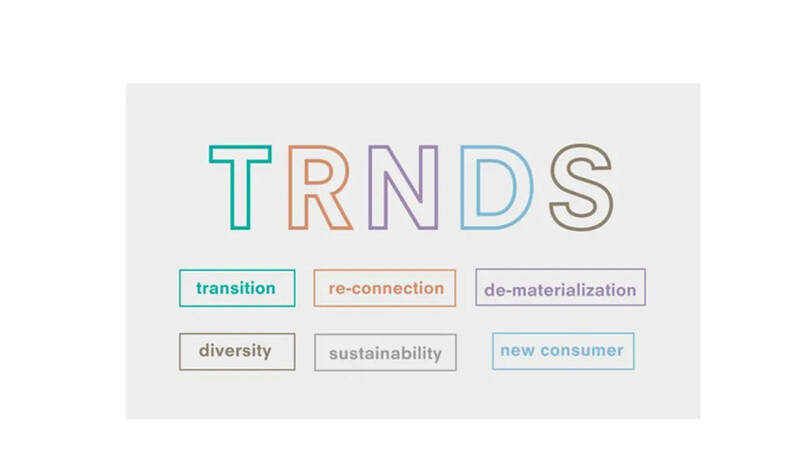 A multi-faceted concept exploring two meanings of the term: "Gathering" as a union of people and "Gathering" as collecting materials, joints and materials meetings. In the center of the project stood the table as a meeting place and venue for different activities taking place around it. Each student was given the task to identify, select and explore an activity that occurs around a table and were to design one or many objects that dealt with this activity in any way. Alice Huldtin designed a beautiful range of products around the famous elixir Kombucha. This “Immortal Health Elixir” has been around for more than 2,000 years and has a rich anecdotal history of health benefits. Made from sweetened tea that’s been fermented by a symbiotic colony of bacteria and yeast. In her design Alice uses the desktop colours 4183 Pistachio and 4185 Powder which she combines in a very elegant way with other refined natural materials. 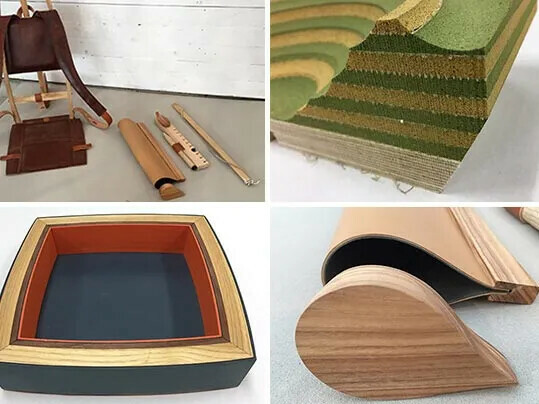 The setting of these skilfully crafted products creates a connection with traditional Japanese tea ceremonies. 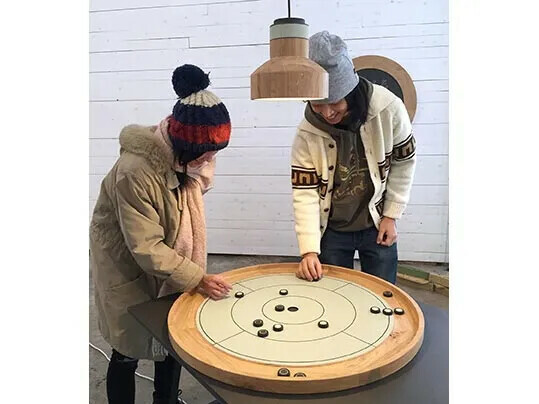 The earliest known Crokinole board was made end of the 19th century in Canada. 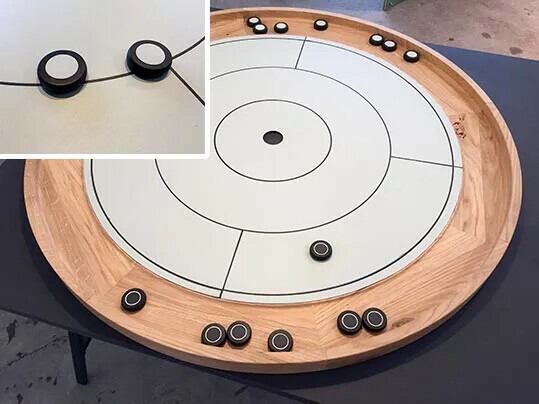 This ‘family’ game is like a shuffleboard in round where players take turn flicking disks on a board. 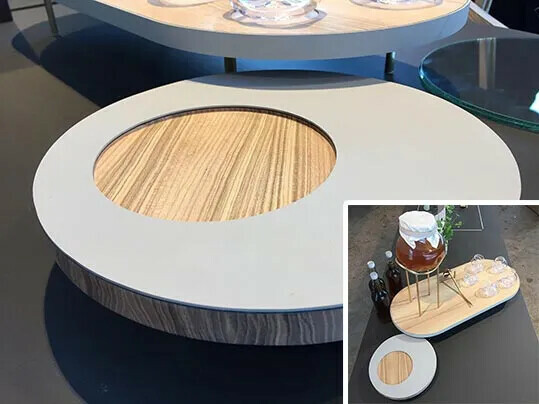 Anke Dold designed a multi functional board. When not playing the game the backside of the board can be used as an announcement board, the black desktop , 4023 nero, functions as a blackboard. Together with the board a lamp was designed to create a cozy intimate atmosphere. Joe Clark had a hands-on approach and experimented extensively with both Furniture Linoleum and Bulletin board. Very skilfully he crafted a series of beautiful objects in which the versatility of the material can be experienced. Johan Andersson created table artifacts, abstract shapes inspired on and referring to cutlery. To be used as conversation pieces to feed the dialogue during meals and to challenge existing table conventions. 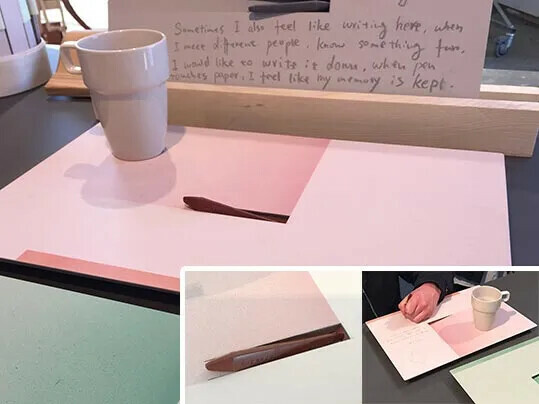 Inspired by the need for a physical interface in a café like setting Lisha Li designed a tray which can be used to carry a refreshment but also to write a message on or to make notes. After use the tray can be hung on the wall presenting a personal text. 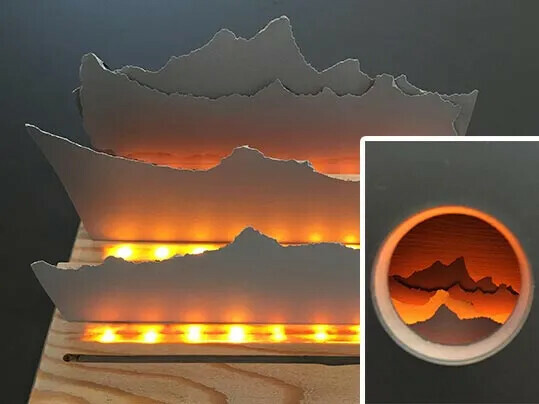 A tray which invites people to step out their digital environment into the real world. The furniture linoleum surface has a spray-brushed area to separate the writing zone from the food and beverages. A laser cut holder for the oil crayon is incorporated into the surface. 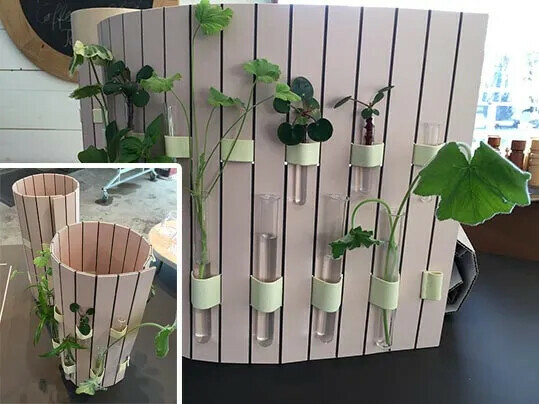 To make life easier Sofia Nilsson thought up a transport vessel to be used to carry young plants from one owner to the other. 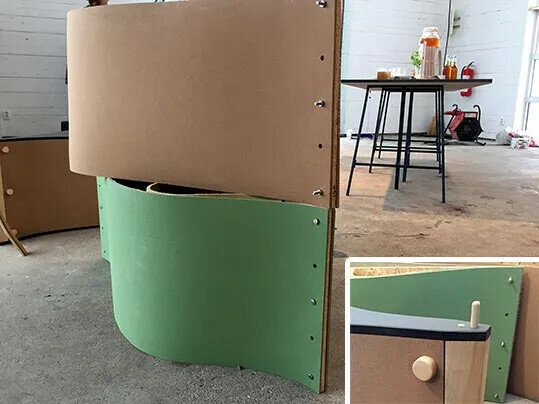 The container consists out of two layers of furniture linoleum, by making incisions in the furniture linoleum it becomes a flexible and foldable material. To be used for either transport or as a display or even as a mobile pop-up separation wall for in the office to create your own atmosphere. Robert Curran made some beautiful poetic and refined objects. 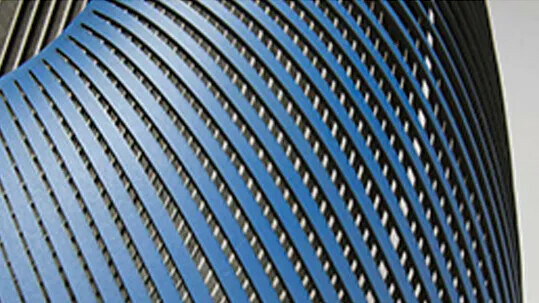 By treating the materials in a special way he was able to push the boundaries of the material properties of the furniture linoleum. Objects which seems to belong in a Wunderkammer. How to make a group discussion more enjoyable, how to deal with an lingering elephant in the room. 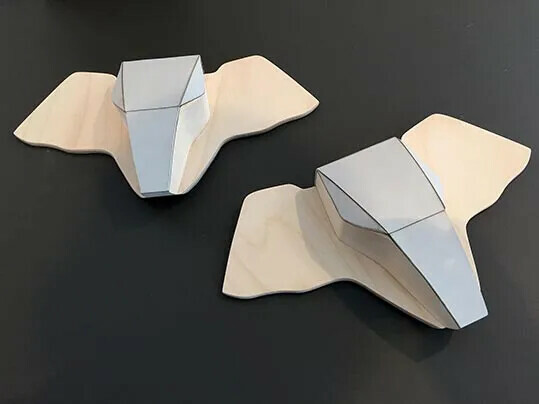 Mariska Lamiaud created a ‘talking stick’ in the shape of an abstracted elephant head which can be held when wanting to confront the elephant. 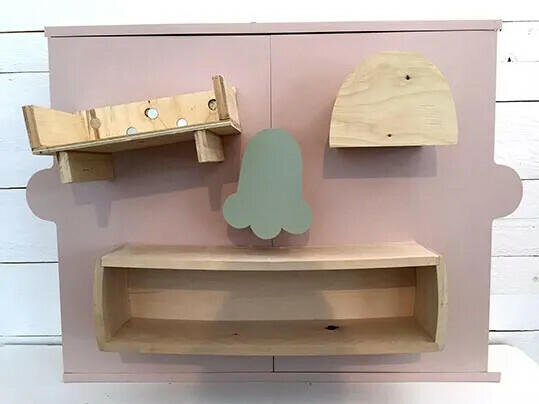 Tung-yun Wang created a post modern mister potato head like cupboard for children with magnetic elements which can be repositioned. Thus changing the expression of the face. How to improve the efficiency of a meeting was the question student Yang Yong Kang tried to tackle. How to provide the ultimate environment for information exchange. His conclusion is that providing space for a dynamic break with a constant flow was the key. Yang Yong Kang designed a modular station by mixing the concept of the Swedish Fika, coffee-break ritual with the Japanese Tachinomi, standing bar, and the Dutch Bulletin (pin) board. The result is a layered modular station with a organic fluid shape. 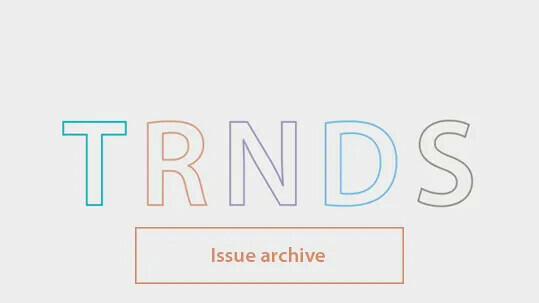 The results of this exciting collaboration will be shown during the Stockholm Furniture Fair 2017 which will take place from February the 7th till the 11th.